A new week means another #dogmommonday! 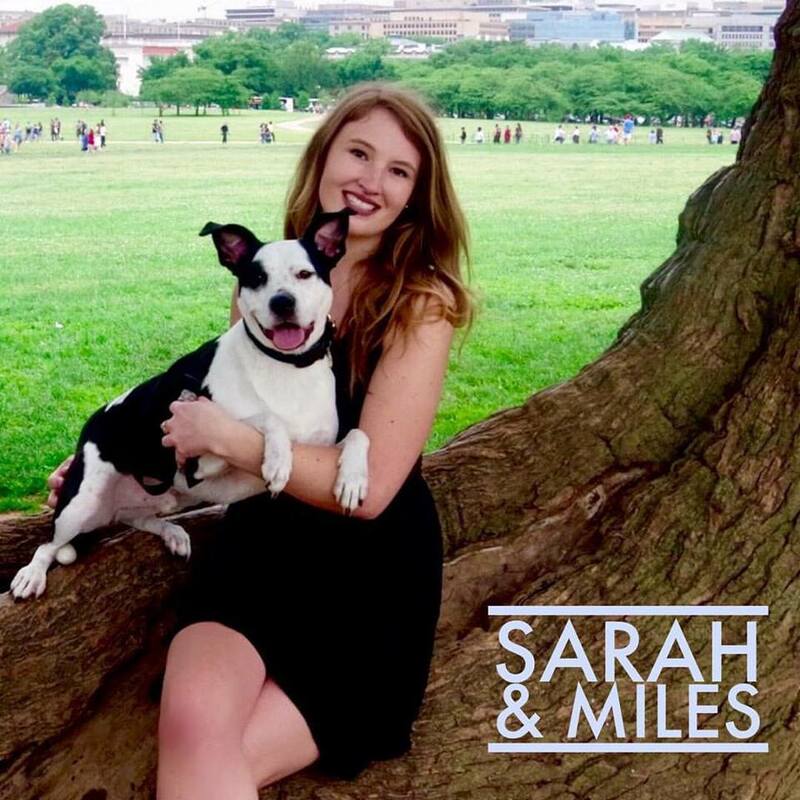 Meet the third @dcdogmoms' duo: Sarah and Miles. Sarah's favorite thing about Miles: I'm completely obsessed with Miles' satellite ears—they're extremely expressive! When he's happy, he has this amazing "smile," which is really a whole-face expression: ears up, head cocked, tongue out, and eyes sparkling. "Smiley Miley" makes even the saddest days bearable. Miles' favorite thing about Sarah: "She lets me bury my antlers in her bed, and she makes sure that I have a squeaky toy to destroy at all times. I'm kind of a wimp and used to be scared of everything, but mom has helped me become braver by always telling me she loves me and making me feel safe." A perfect DC day: We would start our day with a walk to 14th Street to grab coffee and breakfast. One thing we love about DC is how easy it is to get out of the city and into nature, so after breakfast we would take a trip to a hiking trail in Maryland or Virginia. Miles LOVES to run around in the great outdoors and is quick to point out all the wildlife. Once we were back in the city, we'd head to @shawdogpark so that Miles could brag to his friends about how fast he is and get them to chase him around the park to prove it. We would wrap up our perfect day at a dog-friendly patio for dinner with our fellow #dcdogmoms and their pups.